LISNR® is an advanced, near-ultrasonic, ultra-low power data transmission technology that enables fast, reliable, and secure communication between devices via a speaker and/or microphone. Acting as a secure local proxy for data transmission, our technology is removing the need for complex, expensive, and power-consuming wireless technologies. 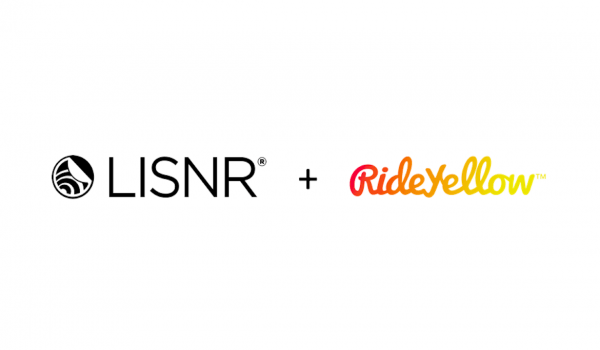 LISNR® is the creator of a proprietary near-ultrasonic protocol that sends data-over-audio. Originally coined Smart Tones™ in 2012, our audio technology has evolved into the KAB® (Kilo Audio Bit). LISNR®’s protocol sends data-over-audio across bandwidths (14.5 kHz-19.2 kHz) that are audible or inaudible, depending on use case and distribution method, to ensure optimal performance. The tone preamble announces the presence of a tone to begin SDK demodulation. The header contains metadata about the payload and security logic. The payload is the actual data-containing portion of the tone. We’ve created multiple tone types and profiles, optimized for varying payload and environment characteristics of the use case. All tone profiles and types are compatible with a single SDK. Inaudible: Has a frequency range of 18.75-19.2 kHz. This profile has been optimized to solve the problem of reverberation and increase reliability. Audible: Has a frequency range of 14.55-15 kHz. Similar to our standard profile, but optimized for implementations that have frequency range restrictions such as FM radio, video, and audio streaming. Inaudible: Has a frequency range of 18.0-19.2 kHz. This profile has been optimized to work best in live environments at close distances. Displays as an image, web link, video, etc. but needs the API to communicate to the server so it cannot be locally generated. However, content preloading allows applications to store content locally on a user’s device that is activated when the associated LISNR tone is heard by the device. Displays as text only (ASCII) and can be locally generated in offline environments. Displays as binary data and can be locally generated in offline environments. LISNR® transmits data using a similar methodology used by other protocols (preamble, header, payload) and can employ industry standard security/encryption methods. Customers can locally generate tones on devices and send encrypted data creating secure communication between devices. LISNR® customers also have the ability to apply additional encryption to their payload to create a more secure data exchange. Our technology enables a seamless and consistent connectivity experience regardless of the operating system, device, or environment. Five years of development have gone into optimizing proprietary tone profile and data types. 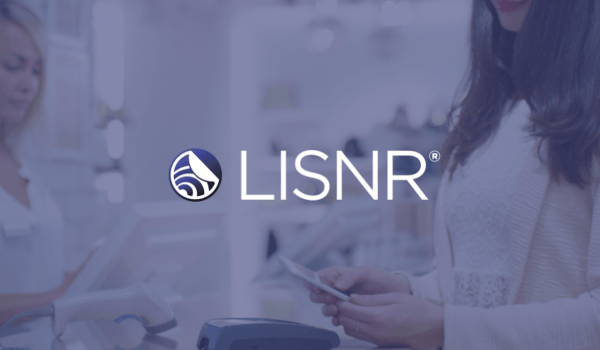 As an always-on communication protocol, LISNR® outperforms the rest, especially when it comes to power consumption when compared to RF-based connectivity or audio fingerprinting options. Our technology has proven itself to be the most battery and CPU efficient across the entire software spectrum, from the application level to the embedded system level, with significant advantages to power optimization at the chipset level. As our payload continues to increase, our current innovation the KAB® (Kilo Audio Bit) has throughput of 1,000/bits-per-second. To maintain payload reliability, we created optimized tone profiles for use such as range (short/long), digital media compression (audible version), and data payload. All tone profile types are compatible to a single SDK. Optimized tone data types for use such as text (ASCII), ID, and data (binary) types maintain reliability. All tone data types are compatible to a single SDK. This enables local data encoding and decoding for device-to-device communication without server connectivity. With best-in-class performance metrics in reliability, data payload, security, and operating efficiency, LISNR®’s proprietary technology is on pace to become the industry standard in data-over-sound technology. In addition to proprietary, best-in-class performance, LISNR® has the earliest global IP filing date for comparable data-over-audio solutions. 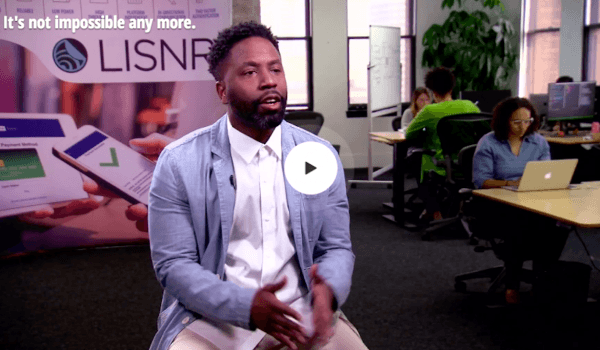 LISNR®’s technology is built within a C-library base conveniently allowing adaptability across the connected world ecosystem. This library allows interoperability across all software applications from device operating systems to chip-level embedded systems. In order to decode the data present in the waveform, the audio is run through a software program. Our SDKs only recognize LISNR® audio that falls within the specified frequency range, filtering out the rest. This is the central developer dashboard to access, manage, and demo LISNR® technology use. Our application program interface allows customers to seamlessly integrate LISNR® services within their systems by making simple HTTP requests. This allows clients to view specific metrics related to how their customers are interacting with their LISNR® integration. Our library offers support documentation to create and facilitate deployment. Broadcasting and receiving data via is sound is powered by integrating our software. We provide a simple communication method that can be layered into any existing software, device, service, or media. As you design the ideal experience, the end user can be the broadcaster, the receiver, or both. LISNR® can carry the current data you are using offline from one device to the next. To meet LISNR security standards, additional tokenization should be applied to LISNR® ’s header and encryption to the payload.